Paddle vent brush for short to long hair. 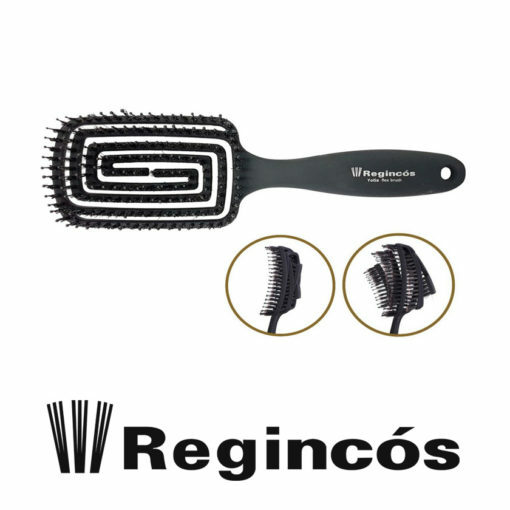 Combination of boar bristles for shine and ball tip nylon for scalp stimulation . 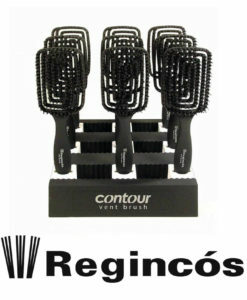 Geometrical design contours to the shape of the head for damage free brushing and detangling . Soft touch carbon handle, non slip, water proof and heat resistant . For wet hair, dry hair, and for natural looking texture try with a blow dryer .